"How do I make money blogging?" This is a question I used to ask myself when I first started my blog and a question I've received numerous times. I'm not surprised that people are curious about making money on the internet. Monetizing a blog is a huge mystery for most. While I wouldn't claim to know everything, I've learned a lot about blogging and I am always happy to share my experience. While making a full time income from blogging is possible, it takes a lot of time and a lot of hard work. I'm created an easy to follow guide providing information on how to make monetizing your blog simpler. In my guide, I provide tips on getting started and setting up as well as provide a ton of options you could use to start bringing in full time income just from typing fro the comfort of your home! It's On! 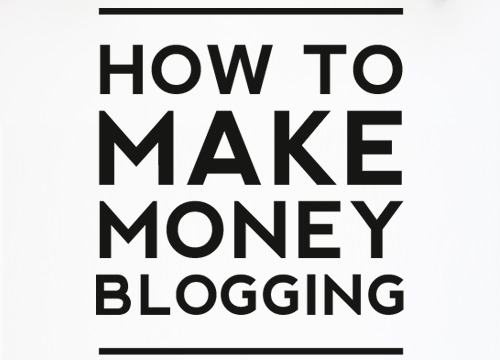 I present to you one of the most comprehensive guides telling you how to make money from your blog. If you ever wanted to quit your 9 to 5 job and start living the "Laptop Lifestyle" with a blog, this is your guide! I put blogging first and it's something you can start today with very little investment. If you take the time to move beyond writing-and master specialized in-demand skill-You could easily earn up to 5 figures a month. I will provide ways for you to start quickly accelerating your blog into a full time passive income in less than a year. Yes you can make money blogging with simple dedication creativity and consistancy!